Scottish Silver Celtic Wedding Ring : LOVE2HAVE in the UK! 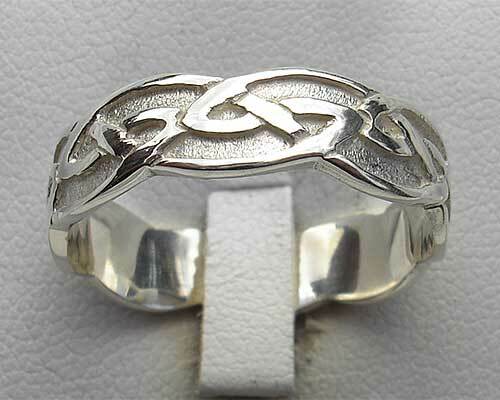 A traditional sterling silver Scottish Celtic wedding ring. It is approximately 6mm wide so is suitable for both men and women. We do a thinner 4mm version too for women looking for a narrower version. The Celtic knot design style on this ring symbolises the never-ending. 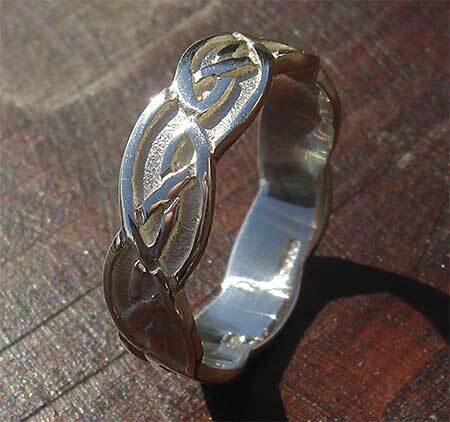 It is the Celtic wave, and it is this wave pattern that creates a lovely wavy edging to the design, something entirely different to the other Celtic rings in this section.